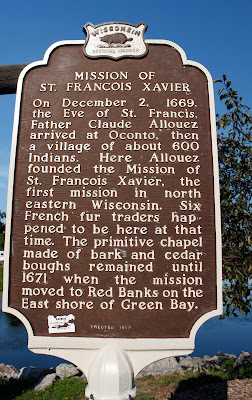 On December 2, 1669, the Eve of St. Francis, Father Claude Allouez arrived at Oconto, then a village of about 600 Indians. 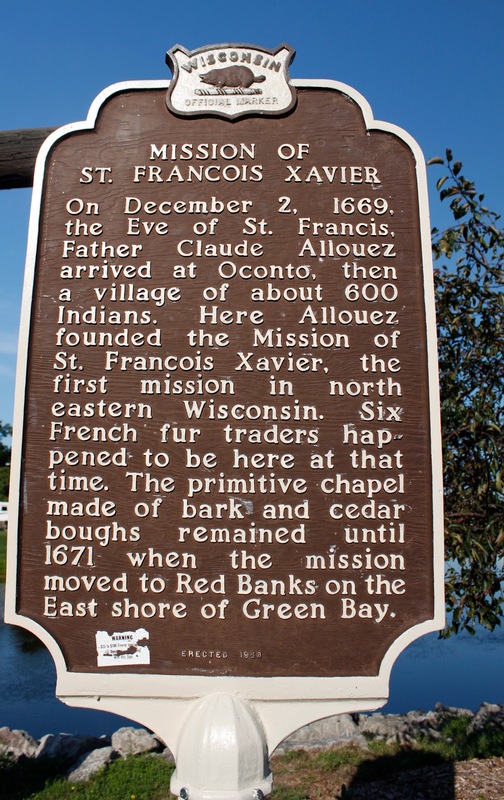 Here Allouez founded the Mission of St. Francois Xavier, the first mission in north eastern Wisconsin. Six French fur traders happened to be here at that time. 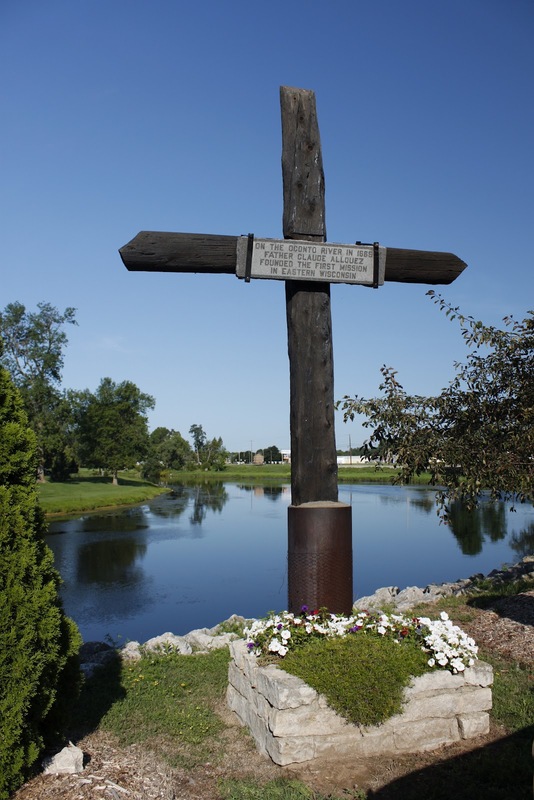 The primitive chapel made of bark and cedar boughs remained until 1671 when the mission moved to Red Banks on the East shore of Green Bay. 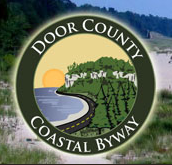 The marker is located alongside the Oconto River on southbound Brazeau Avenue / Smith Avenue / U.S. Business 41, south of its intersection with Main Street / Charles Street / Wisconsin Route 22, Oconto, Wisconsin 54153. 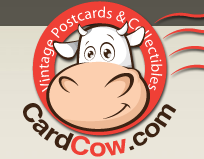 See also, First Mission in Eastern Wisconsin, also at this location. The Oconto River in the background. A crane who landed on the opposite shore. 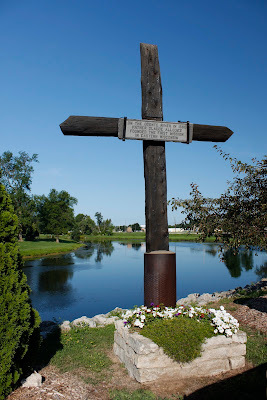 The marker is located in Oconto, Wisconsin.